Just found this excellent blog posting from Leonard Link, originally posted on June 12th. Click here to read the complete posting. The Idaho Supreme Court spoke unanimously yesterday, upholding what may turn into something like a life sentence to an HIV+ man convicted under I.C. sec. 39-608 of eleven counts of "transferring body fluid which may contain the human immunodeficiency virus." 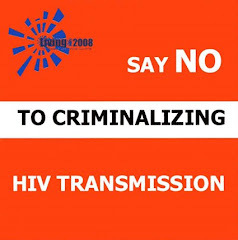 This draconian sentence was upheld in State of Idaho v. Mubita, 2008 Westlaw 2357703, where it appears that the acts in question presented little or no risk of HIV transmission, there is no evidence that HIV was actually transmitted, and the police learned the identity of the defendant through unauthorized disclosure of his medical records and forms he filled out at the health department in order to access HIV-related benefits.